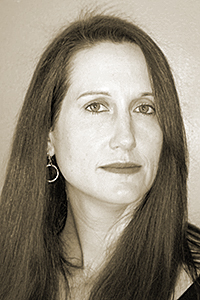 Juliana Gray is the author of two poetry collections: Roleplay (Dream Horse Press, 2012), which received the 2010 Orphic Prize, and The Man Under My Skin (River City Publishing, 2005). Her recent poems have appeared in or are forthcoming from Barrow Street, Measure, 32 Poems, Waccamaw, and The Hopkins Review. She is an associate professor of English at Alfred University.